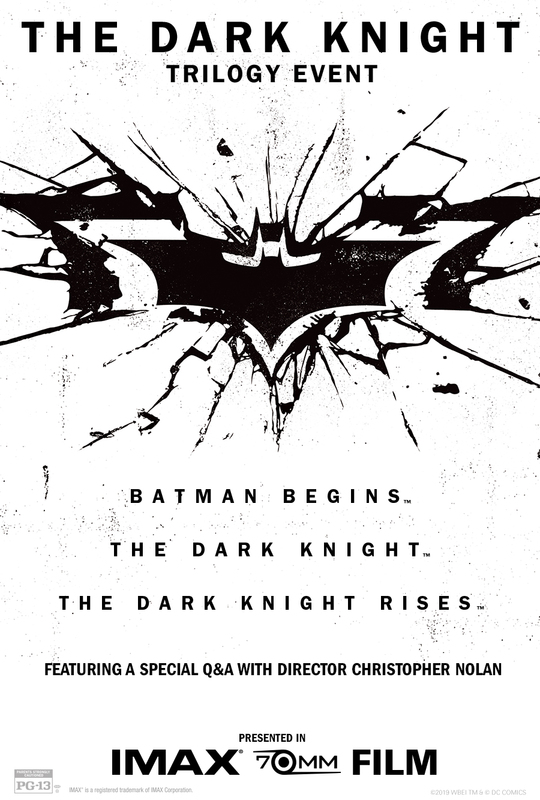 Christopher Nolan's entire Dark Knight trilogy (Batman Begins, The Dark Knight & The Dark Knight Rises) is returning to select IMAX theatres this spring. The trilogy will be presented on IMAX 70MM film. Tickets must be purchased directly from the theatre or from an authorized ticketing partner. Please check back for available showtimes. Photo Credit: The Dark Knight (2008) Warner Bros. Entertainment Inc.